Amsterdam is an exceptional city renowned for its beautiful canals and flat landscapes that enable unique modes of transport to get around town. There are many forms of public and personal transport available, each of which provide a different and special experience when exploring the city. 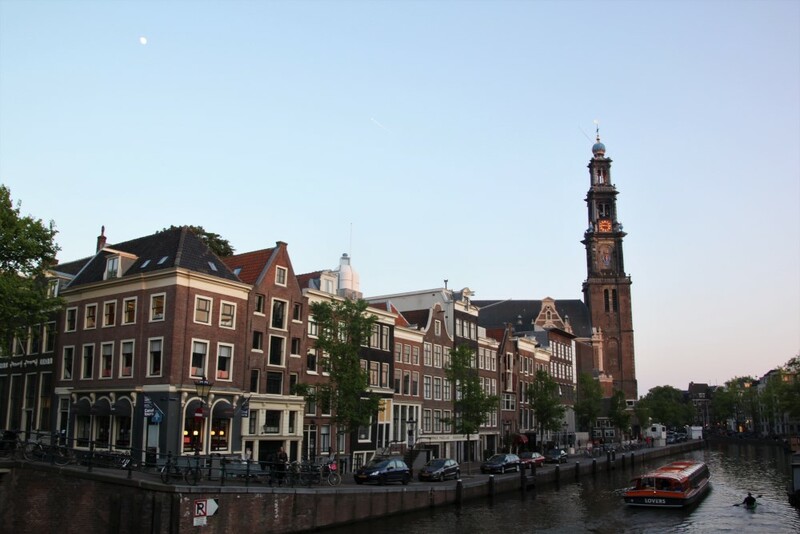 Central Amsterdam is geographically quite small and it is really quite lovely to explore and meander through the picturesque canals and narrow streets on foot. 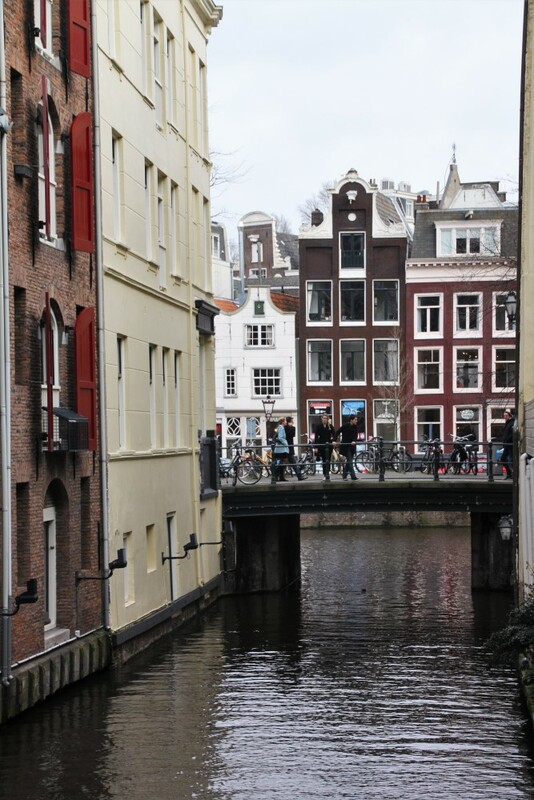 There are plenty of shops, cafes, restaurants and bars lining the canals as well as many sights dotted around. 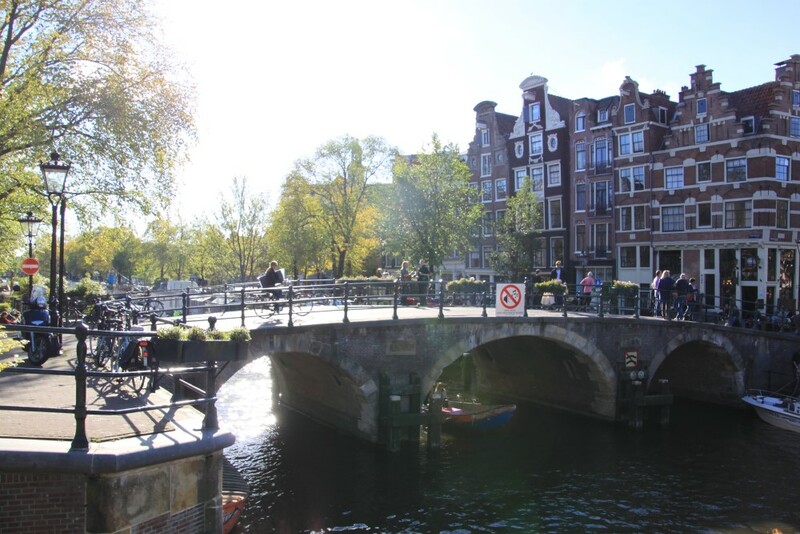 To give you a sense of distances, it only takes around 20 minutes to walk from Central Station to the Museumplein — and on the way you will pass all of the major canals, and be able to take in the city atmosphere at a relaxing pace. Of course if you are with young children that like to run about or that might get tired from too much walking, there are plenty of other family-friendly travel options to choose from that will give their feet a rest. 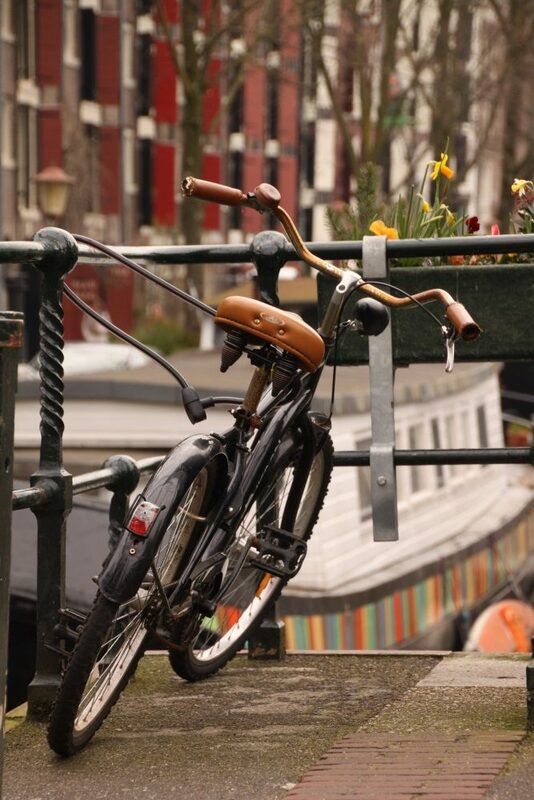 A great (and very Dutch) way to get around Amsterdam is on a bike. 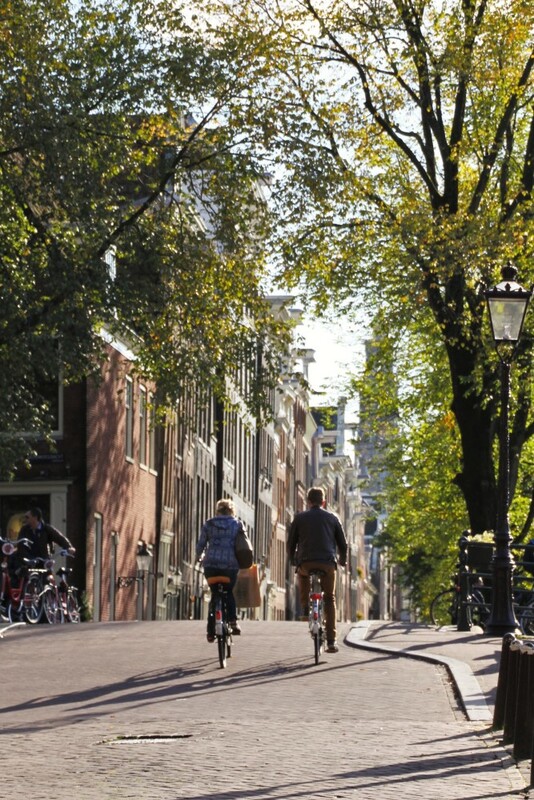 Amsterdam has really been designed to cater for bicycles – the landscape is flat and there are bike lanes everywhere to accommodate this very popular mode of transport. Cars and other traffic are also very much accustomed to being mindful and looking out for all the bikes around, making it really quite safe. However, it is still important to familiarise yourself with the cycling rules before setting out so that you can navigate the city safely and with confidence. Most bike shops can provide you with a brochure on safe cycling in the city. 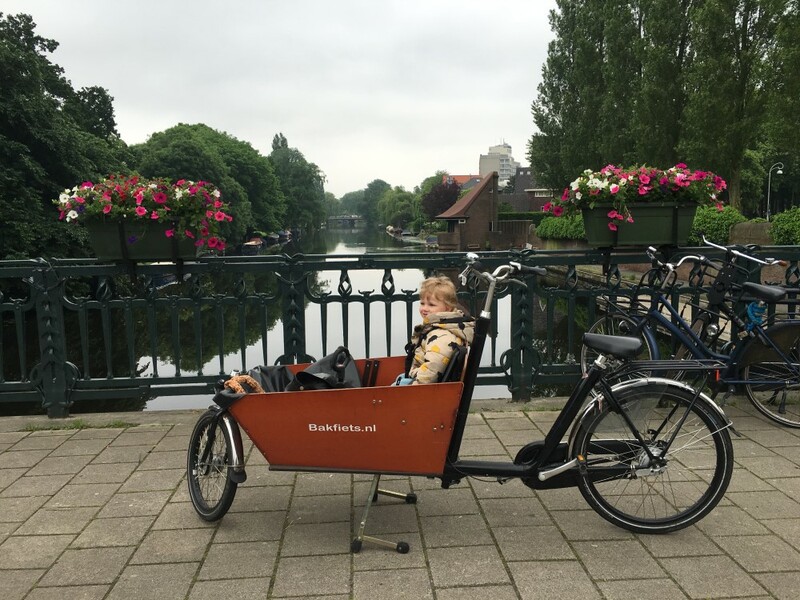 If you have young children in tow and feel willing, renting a bakfiets (Dutch cargo bike) will provide a truly unique and very Dutch experience. Riding a bakfiets is not as intimidating and difficult as it may seem– these bikes have been very well designed with practicality and functionality in mind, and your kids will love this way of transportation. 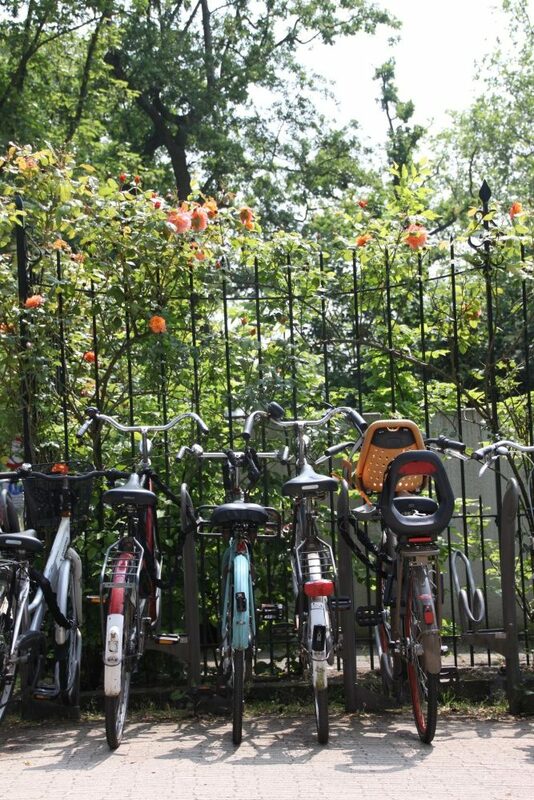 Tip: Anywhere you go you will undoubtedly see bike racks where you can park your bike (just make sure whenever you leave it unattended that your bike is locked up securely). Another pleasant way to get around town is on the tram. It can be particularly exciting for the kids, who will love seeing the city pass in front of the windows and the ‘train-like’ feeling of it all. If you are travelling with a pram/buggy you must enter at the middle of the tram where there is a designated area for prams. Note that trams are only allowed to have two prams on at a time, so if you miss out on a spot just be prepared that you may have to wait 8 minutes for the next tram. Many of the newer trams also have a tram conductor seated inside at all times so you can buy your tickets quite easily and also ask questions or request to be notified when it is your stop –very handy! If you plan on using public transport regularly during your stay in Amsterdam, purchasing an OV-chipkaart is recommended and will save you money. The OV-chipkaart is a ticket for public transport in the Nethernalds and you can use the card on trams, buses, metros and trains. Just always remember to check in and out! 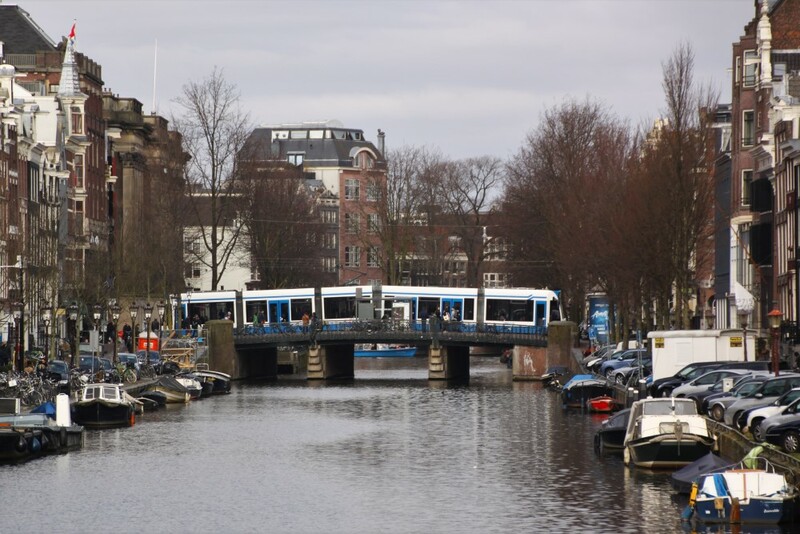 As well as the tram, you can also get around Amsterdam on buses, metros and of course taxis. Uber is also available here. 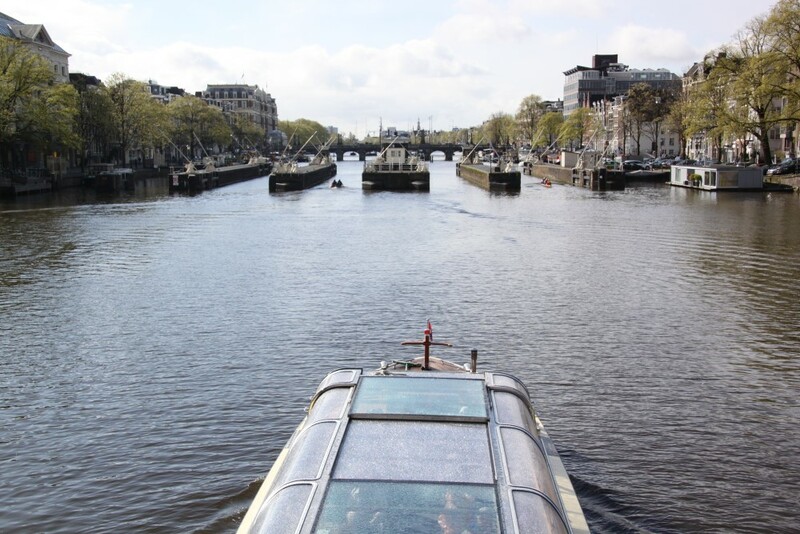 Although not specifically a way of getting around the city, it is impossible not to mention the Amsterdam canal cruises as they really offer a wonderful way to experience the wonders of the canals of Amsterdam. The beautiful and unique canal houses can be best admired from the water and the great part is that you won’t wear out your little one’s feet. There are audio guides on board which will give you and the kids interesting background information on the sights as you pass them — and these are available in a number of languages. Most tours take approximately one hour and you can often purchase snacks and drinks beforehand to enjoy on board the tour. There is also a hop on, hop off canal bus that allows you to combine the best of both worlds – canal tour and sight seeing!